Your one-stop shop for branding and web design. 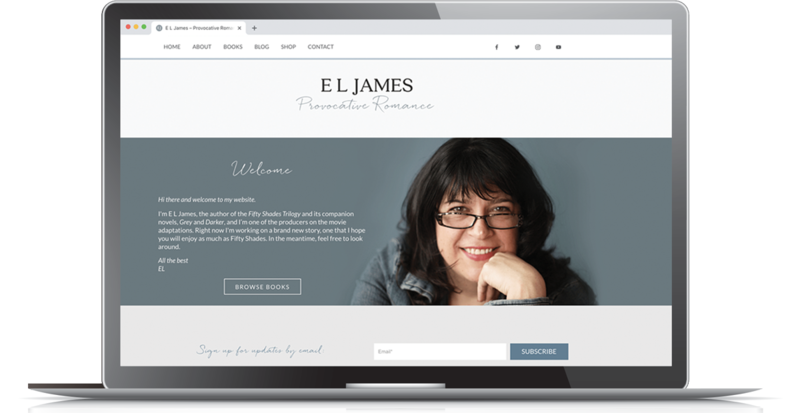 Every best-selling author needs a modern and professional website design that will showcase their novels and provide a platform for blogging. Let’s work together to create a brand and website as unique and fabulous as your novels! Here at Priceless Design, we specialize in hand-crafting beautifully modern and easy to update websites for authors just like you. We’ve created websites for dozens of NY Times and USA Today best-selling authors and know from experience what you need to make your website a success. Sit back and relax while our team of designers and developers completely transforms your brand and website into a stunning and noteworthy online presence. We’ll take care of the hard stuff. We’ve worked with some of the biggest names in publishing and know what it takes to create a brand and website that will “wow” your readers. Let’s turn your website into a book-selling machine! We’ll design a brand identity for you that includes a logo and color palette, and then create a new website with a custom home page and portfolio that features you and your books.